Teaching water fitness classes is a fun way to make a living -- or make some extra cash -- while helping your fellow community members get fit. The YMCA no longer offers certification courses, so you'll have to get certified by another organization. You can then apply for a job teaching water fitness at your local YMCA. The YMCA and other community centers, health clubs and public and private pools that offer water fitness classes employ skilled instructors to lead their classes. The YMCA requires that all water fitness instructors posses a nationally recognized water fitness certification. 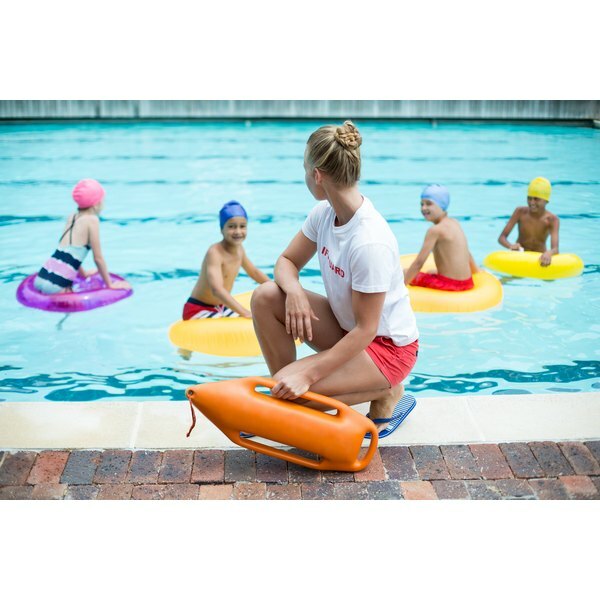 Water fitness instructors must also be certified in cardiopulmonary resuscitation, or CPR, and automated external defibrillator, or AED, at the time of employment or within 30 days of employment. If you're ready to dive in and get your water fitness instructor certification, there are several nationally recognized organizations to choose from. YMCA water fitness instructor job listings specify certification by the Aquatic Exercise Association, AEA, or an equivalent certification. Other certifications that may be accepted include United States Water Fitness Association, or USWFA; American Fitness Professionals and Associates, or AFPA; International Sports & Fitness Trainers Association, or ISFTA; and Aquatic and Fitness Professional Association International, or A-PAI. If you choose a certification other than AEA, it is highly recommended that you contact the YMCA or other facility at which you wish to work and make sure your chosen certification is accepted. Once you have chosen your certification, you will need to register and pay the exam fee, as well as fees for any study materials offered. The AEA certification exam costs $165, at the time of publication. This doesn't include any study materials, just the fee for sitting for the exam and receiving your certificate if you pass. For a bundled fee of $385, you will receive a text book for self-study, an online prep course and a sample exam, in addition to the final exam. For $445, you can choose to attend and in-person aquatic fitness practical applications workshop. It is highly recommended that you at least purchase the associated study materials so you can be sure you are learning the correct material for the exam. Other certifications may only be offered for one bundled fee without add-on options. For example, the AFPA aquatic fitness instructor certification costs $449, at the time of publication. This includes two textbooks and an instructional DVD, as well as the final exam. Both the AEA and AFPA certification courses are distance-learning self-study courses, although you may elect to take a workshop before the AEA exam. Once you receive the study materials, you have several months to review the material at your own pace. When you are ready to take the exam, you will have to either attend a proctored exam at a monitored testing location in your area or you will be able to take it online at home or mail in a written exam. The exam format will depend on the organization, and you will need to confirm each organization's policies before registering. A passing score is typically 80 percent or higher. This also is specific to the certifying organization and something you should be sure to confirm before the exam so there are no surprises.